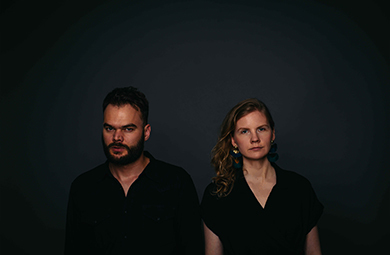 The Dutch/Finnish Town of Saints started as a busking act in 2010, when Harmen Ridderbos (lead vocal/guitar) and Heta Salkolahti (violin/vocals) met each other in the mountains of Austria. The following five years the duo toured extensively throughout Europe. Meanwhile transforming from an upbeat indie-folk act to a five-headed groove-machine. Within half a year after the release of their debut album, ‘Something To Fight With’ (2013), Town of Saints was proclaimed as one of the most promising Dutch acts by national radio and television. The success of the album resulted in performing over 130 live shows throughout 11 European countries. 1,5 years later their new album followed.